Welcome to Hillcrest! 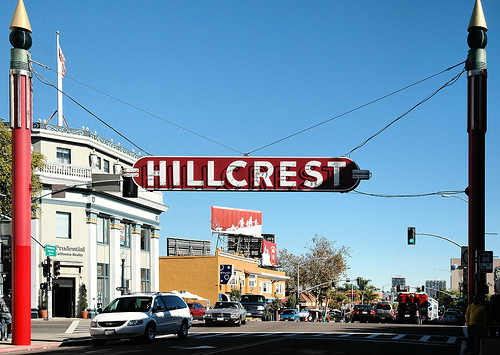 Located just a few miles from San Diego’s busy downtown, Hillcrest is an uptown neighborhood with a personality and vibe all its own. 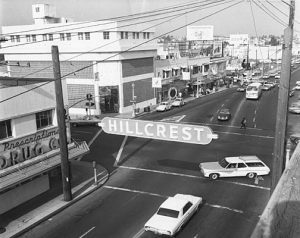 From its ethnically diverse restaurants, bars and coffee houses to a wide selection of boutiques, vintage clothing stores and a Sunday farmer’s market, Hillcrest offers a unique variety of options for visitors and residents alike. There’s a movie theater, arts and crafts, the annual LGBT Pride parade, and easy access to Balboa park, the largest urban cultural park in North America. 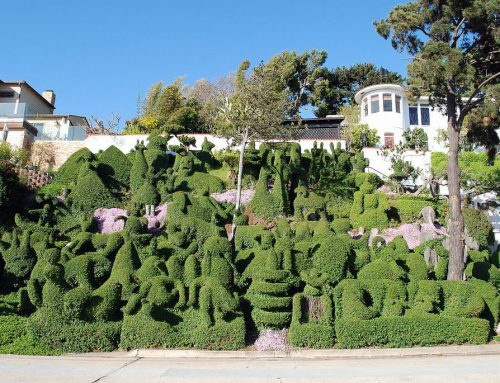 There you can enjoy the many museums, performing arts venues, gardens and of course the not-to-be-missed San Diego Zoo nestled amongst gorgeous Spanish-Renaissance architecture and grassy expanses. Just 15 minutes from San Diego International airport, Hillcrest is an accessible, welcoming and diverse gem within San Diego’s urban landscape. Come and explore – everyone is welcome!